I took the epublishing plunge over the weekend, managing to upload Man Writing a Romance, the ebook, at Smashwords and Amazon without dying or killing anyone. I love the Internet. But I hate it, too. Ya know? 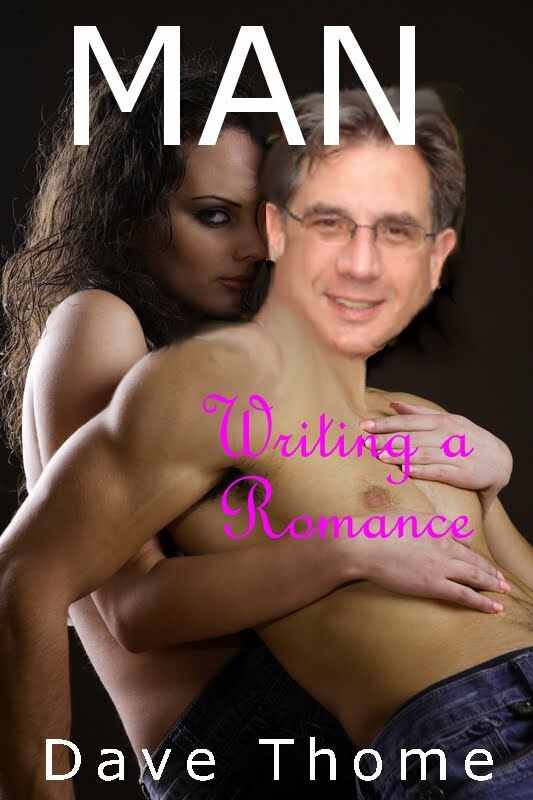 At any rate, Smashwords lets a guy give away his book if he wants to, so if you’d like a free copy of every ManWAR post plus some extras, like the complete text of my Valentine’s Day radio essay about goofy love songs, an interview with author Karen McQuestion and a preview of the first chapter of Fast Lane, go to http://www.smashwords.com/books/view/98192. If for some reason you’d rather pay a buck, go to http://tinyurl.com/3eqctrw, though I suspect Amazon will invoke a 100% off deal as soon as it finds out about Smashwords. The ManWAR ebook is just an appetizer for sumptuous feast that Fast Lane is still becoming. Fast Lane will be up for sale before Nov. 15. Damn it. At any rate, I already downloaded Man Writing a Romance to my Kindle from Amazon, which means I’ve now either made 35 cents as an author or lost 64 cents.